High Quality Content by WIKIPEDIA articles The Indian State of Karnataka is located within 11 30' North and 18 30' North latitudes and 74 East and 78 30' East longitude. It is situated on a tableland where the Western and Eastern Ghat ranges converge into the Nilgiri hill complex, in the western part of the Deccan Peninsular region of India. The State is bounded by Maharastra and Goa States in the north and northwest; by the Arabian Sea in the west; by Kerala and Tamil Nadu States in the south and by the States of Andhra Pradesh in the east. 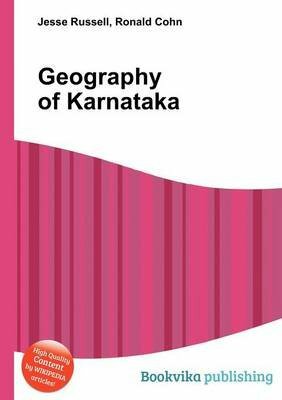 Karnataka extends to about 750km from north to south and about 400km from east to west.